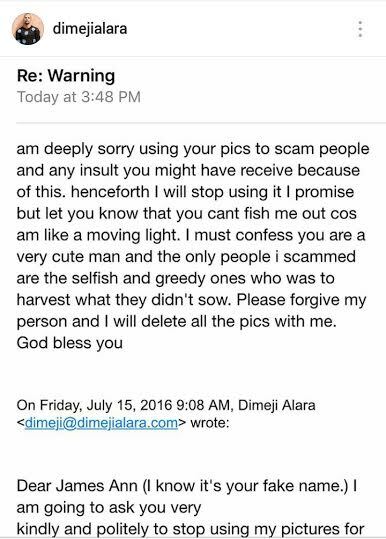 “So I got an email from a lady today warning me about someone who has been using my identity to scam people and decided to write the person. This is the response I got . This is becoming very annoying as it is not the first time this is happening. Tired!! !” See the response after the cut..